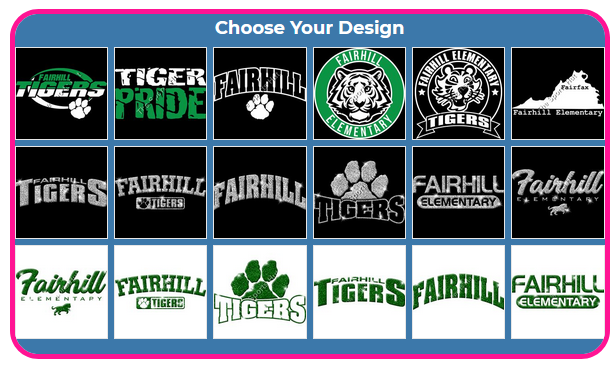 Fairhill Spiritwear is here, be ready for the next spirit day or start your holiday shopping! This year we have teamed up with the Sports Hut to offer the largest selection of customized Fairhill gear ever! There are twelve different custom Fairhill themed designs to choose from and products including shirts, sweatshirts, polos, zip-ups, pants, shorts, bags, etc. DESIGN SAMPLES THAT ARE AVAILABLE.